What says love more than a heart? 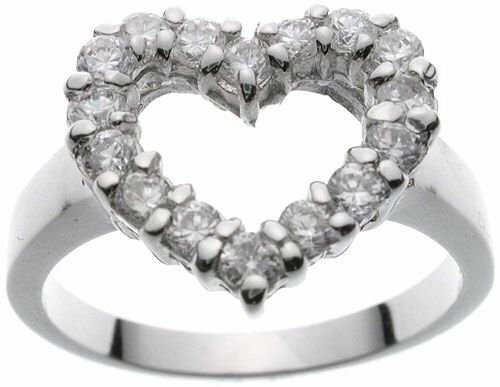 This heart ring says it with style and beauty! This 18K Gold Plated over base metal CZ Heart Ring is classy and classical at the same time. It has 16 2mm round clear CZ stones all around it for added sparkle and richness. The base of the band measures approximately 1.92 mm and widens to appx. 3.20mm where it joins the heart. The heart measures appx. 13mm across.